Wolf Technical Services is a multi-faceted forensic engineering company specializing in all types of vehicular accident reconstruction, product failure analysis, fire & explosion investigations, civil/structural & industrial issues as well as human factors, visibility, biomechanics, photogrammetry, 3D animations and simulations. Our engineers and investigators use state of the art investigation and reconstruction tools, and download crash data from the various "black box" data collection systems (CDR, EDR, SDM, ECM, etc.). We use our FARO 3D laser scanner to capture millions of data points from scenes or objects. Our broad spectrum team of mechanical, automotive, civil and biomechanical engineers as well as physicists and graphics specialists provide a comprehensive case review to evaluate such factors as road defects, day and night time visibility, component failure and construction zone issues. The accident reconstruction analysis can be converted to a 2D or 3D animation using HVE and Hyper Video; both are powerful tools in mediation and in the courtroom. Wolf also offers expertise in premise safety, including slip, trip and fall as well as truck driving safety and regulations. 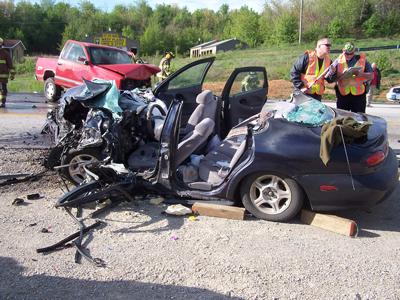 The nationally recognized Wolf accident reconstruction team proudly includes two of the top visibility experts in the country and has experience working in all 50 states as well as internationally. Wolf's forensic engineering group is built on a foundation of integrity in practice and has a strong reputation based on our professionalism, exceptional skills, recognized experts and the value for our partners in both the legal and insurance industries. Unlike forensic firms where a group of experts work remotely and individually, Wolf’s investigators and experts have always worked collaboratively. Wolf has committed to this approach by developing a full service staff. We are also committed to investing in quality equipment and centralized facilities. For over 40 years we have developed quality peer-reviewed work products and challenged each other to excel and advance. Our collaboration efforts extend to our clients, with whom we often develop long term relationships. • Helping clients to grasp the meaning of their evidence when it is hidden by its complexity. • Clarifying the most critical issues from those that have been misidentified or overlooked. • Capturing critical evidence before it is lost. • Evaluating the work of other experts. By consulting with us early, our clients have saved themselves from expending resources on unproductive efforts. Wolf’s team of investigators, analysts and reconstructionists are happy to provide our clients initial consultations for no charge. • We are not available because another party has already retained us. • We are available but contacted too late to conduct a complete investigation and analysis. • We cannot conduct a complete investigation because some of the evidence was not preserved. Common examples are repaired or recycled vehicles, discarded parts or products, lost roadway evidence such as tire marks, signage or rebuilt roadways, overwritten Event Data Recorder (EDR) data, repaired or replaced structures, discarded original versions of images, audio and video, and unavailable people. • Without our initial consultation, the attorney may start expending resources without an appreciation of some of the weaknesses, facts or subtleties of the case. Sometimes, what initially appear to be the most important case issues end up being less relevant than issues that are not readily apparent to the client. We want to provide our clients timely and thorough service to ensure them the best possible outcome. Wolf’s team of investigators, analysts and reconstructionists are happy to provide our clients initial consultations for no charge. We are available to provide an expert discussion or roundtable at your nearby office, or by way of a phone or web conference. Over 40 years of experience in accident reconstruction, trucking litigation and product liability. Over 4,700 clients in the legal and insurance markets. Over 25,000 cases resulting in hundreds of millions of dollars in defense savings and plaintiff compensation. Over 200 years of combined accident reconstruction, forensic, and engineering experience.